Despite being off the air for several years and there hasn't been a new set since 2011, LOST trading cards continue to garner attention among the show's fans. Both Inkworks and Rittenhouse Archives offered comprehensive sets based on the hit show, including detailed base sets, inserts and memorabilia cards. 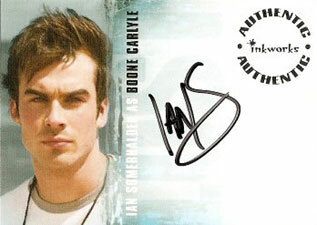 But the most popular of all continue to be LOST autograph cards. 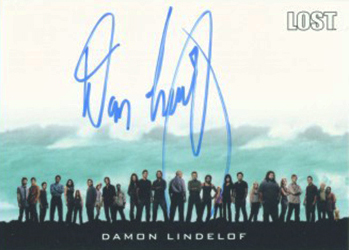 LOST enjoyed one of the most devoted followings ever for a television series. After sucking viewers in with a mysterious setup, exotic locale and polar bears on the beach, it was a show you had to watch every week. It seemed like every episode it went deeper and deeper into the rabbit hole. Or in this case, down the hatch. And while this serialized approach was a turnoff to some, it was rewarding to most who scheduled their weeks around the show. It also led to big-time fans who turned to cards. 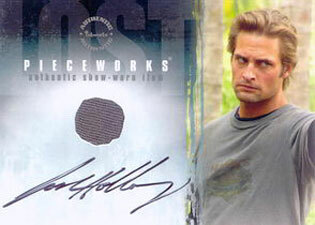 Inkworks launched the first set of LOST trading cards in 2005. They made individual sets for the first three seasons, a non-season specific set called Revelations as well as a few promo sets. But then Inkworks went out of business and the LOST license went into limbo. Rittenhouse took the reigns in 2010 with a release that encompassed the entire series. They followed that up with two more sets, the last of which was a premium pack product that had an autograph and three memorabilia cards in every pack. 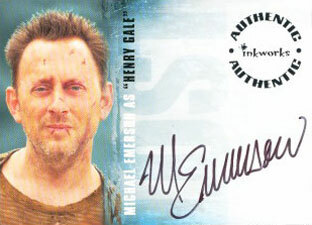 Between both card companies, there are seven sets of LOST trading cards that have autographs. If one were to collect one of every card, they'd be looking at more than 125 different cards. 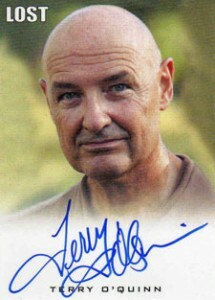 Several key cast members have at least one autograph card. These include Evangeline Lilly (Kate), Josh Holloway (Sawyer), Terry O'Quinn (Locke), Yunjin Kim (Sun), Emilie de Ravin (Claire) and Michelle Rodriguez (Ana Lucia). 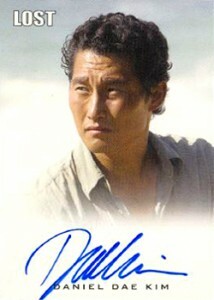 However, there are some notable cast who never signed autographs for a set of LOST trading cards. Matthew Fox (Jack) and Jorge Garcia (Hurley) are the biggest names missing. 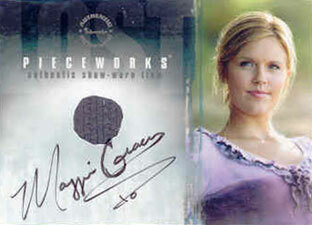 Besides basic autographs, Inkworks also released a few autographed memorabilia cards with pieces of costume. 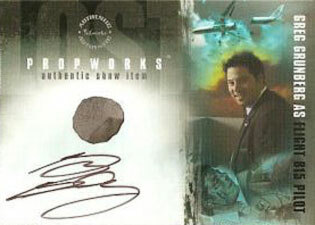 One signed by Greg Grunberg comes with a piece of the show's iconic airplane. The rarest LOST autograph cards weren't found in packs. Shortly before Rittenhouse released Lost Seasons 1 Thru 5, they had special cards made up for Disney's D23 Expo for Francois Chau (Dr. Pierre Chang) and Sterling Beaumon (Young Benjamin Linus) that were only available and signed at the show. 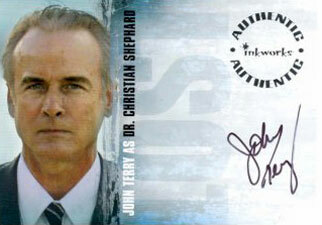 It's worth noting that some of the Inkworks autographs were inserted as a redemption. This includes all of the top Season 1 signers. With Inkworks long out of business, the redemption cards can no longer be used. 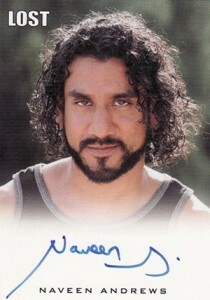 With no new episodes, there isn't quite the same action on LOST autograph cards as there once was. That said, many are still very popular. The show's original popularity combined with increased availability through Netflix and DVD have helped keep people watching. Below is a set-by-set autograph checklist for all of the Inkworks releases. You can click on the tab above to see a full list of all the LOST autographs from Rittenhouse. 12 cards. Inserted 1:36 packs. A-1, A-2, A-3 via redemption. 3 cards. All via redemption. 11 cards. Inserted 1:36 packs. A-10 has different ink color variations: Black #/500, Silver #/300, Gold #/100, Blue #R.
12 cards. Inserted 1:36 packs. A-15 via redemption. A-17 Michael Emerson as "Henry Gale"
A-23 Francois Chau as Dr. Candle or Mark Wickmund? A-27 April Grace as Ms. Klugh "Bea"
1 card. Distributed via redemption. Features piece of Oceanic Plane. 38 cards. Inserted 1:8 packs. Caldwell inserted as case topper. Perrineau distributed as three-case incentive. Beaumon and Chau (Dharma jacket) available only at Disney's D23 Expo. 32 cards. Inserted 1:6 packs. Marin available as six-case incentive. 9 cards. Inserted 1 per premium pack. 2011 RITTENHOUSE LOST RELICS A. MCCORMACK AUTO! "YEMI" SUPER RARE PULL! Hi. I have a question. We have a mint, untouched D23 EXPO Sterling Beaumon autographed LOST card. We’ve had it for years, put away in our collectibles. I was wondering what it might be worth? We know it’s rare, but I can’t seem to find any that have sold recently to decide on a price, etc.